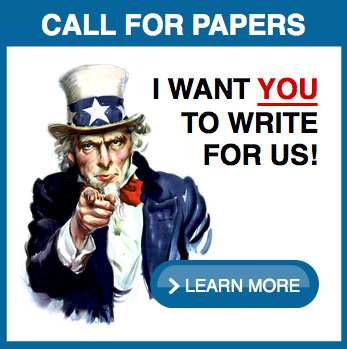 Attempts to bring peace and stability in conflict plagued areas have dominated the foreign policy of the United States. In the era of globalization, however, the U.S. is only a single player in an increasingly complex “maze” of organizations addressing stability problems. The problems of coordination and cooperation have only intensified as the number of organizations engaged in stabilization increases. Though collaboration does not guarantee success, insufficient collaboration can ensure failure, as was seen in numerous reviews of U.S. activities. Hundreds of millions, if not billions, of dollars in reconstruction assistance have been described as having been wasted, in part due to lack of coordination. Further still, collaboration failures have doubtless impeded the promotion peace and stability. The coordination and direction of U.S. stabilization efforts, which can be loosely described as political and economic support to reduce violence and promote stability, is complicated by the legal division of authority over U.S. civilian and military organizations. This has led to situations with uncertain authority or responsibility for areas of activity, as well as areas of overlapping authorities. 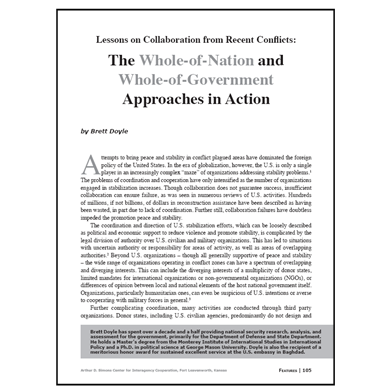 Beyond U.S. organizations – though all generally supportive of peace and stability – the wide range of organizations operating in conflict zones can have a spectrum of overlapping and diverging interests. This can include the diverging interests of a multiplicity of donor states, limited mandates for international organizations or non-governmental organizations (NGOs), or differences of opinion between local and national elements of the host national government itself. 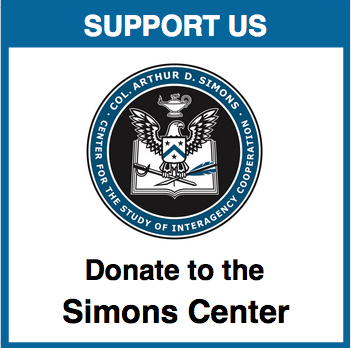 Organizations, particularly humanitarian ones, can even be suspicious of U.S. intentions or averse to cooperating with military forces in general. 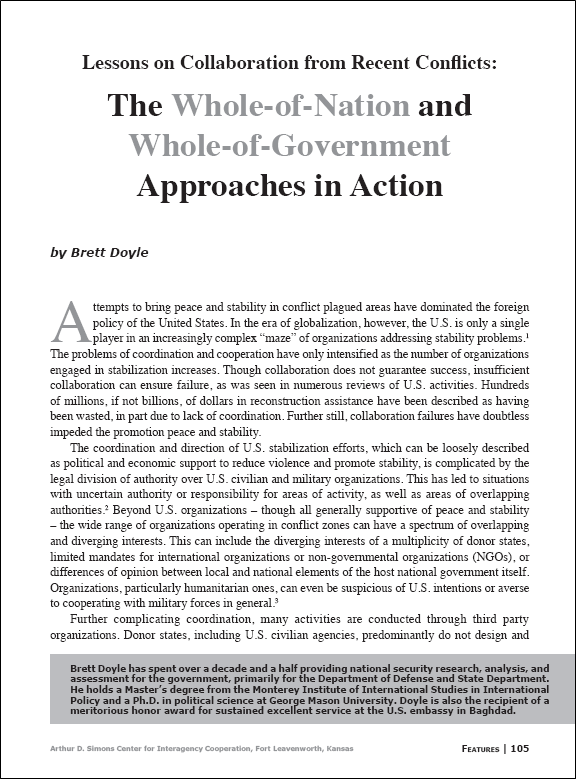 Brett Doyle has spent over a decade and a half providing national security research, analysis, and assessment for the government, primarily for the Department of Defense and State Department. He holds a Master’s degree from the Monterey Institute of International Studies in International Policy and a Ph.D. in political science at George Mason University. Doyle is also the recipient of a meritorious honor award for sustained excellent service at the U.S. embassy in Baghdad.